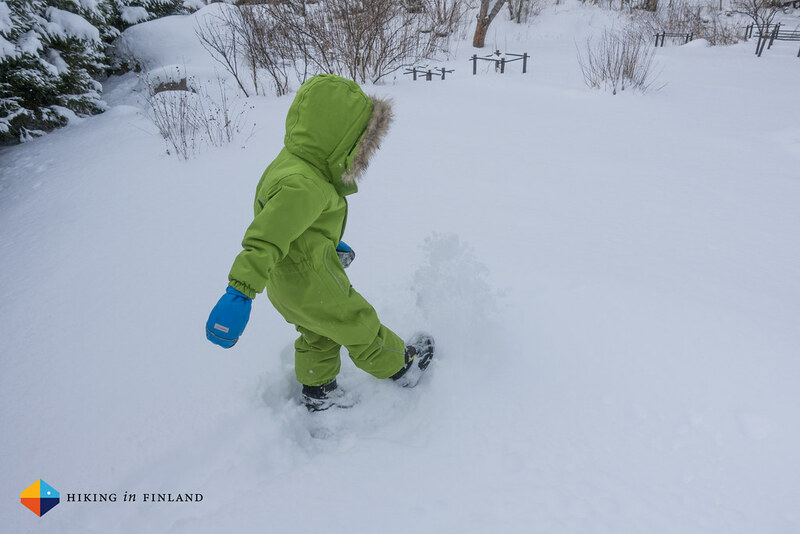 The Green Super Suit we call it, because after testing several Jackets and Pants combos we have found back to overalls this winter. And as it just dumped some 30 cm of snow and the winter holidays start here in Pohjanmaa it is time to shed some light on the Reimatec Stavanger Overall and why we love it! 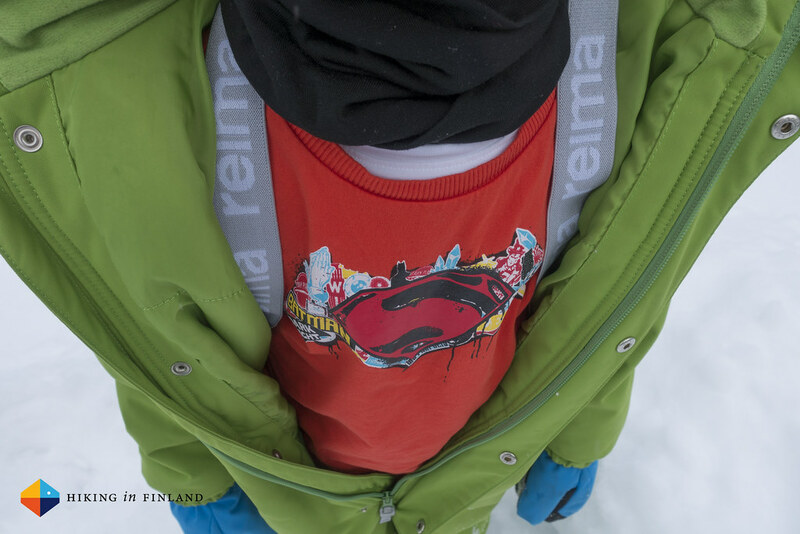 Last December the Reimatec Stavanger Overall arrived at the Hiking in Finland HQ and was immediately declared awesome by our son and very relieved parents (because they in a moment no longer needed to help dressing him up =). To understand this one needs to know that our son always needed a little assistance when he needed to put on the Jacket and Pants when it was time to go out. While he could put them on himself he prefrred to that mom or dad help him get dressed for the cold. As we have a one year old who can’t yet dress herself up this meant we were at once dressing up two kids, plus ourselves, before we could go out. 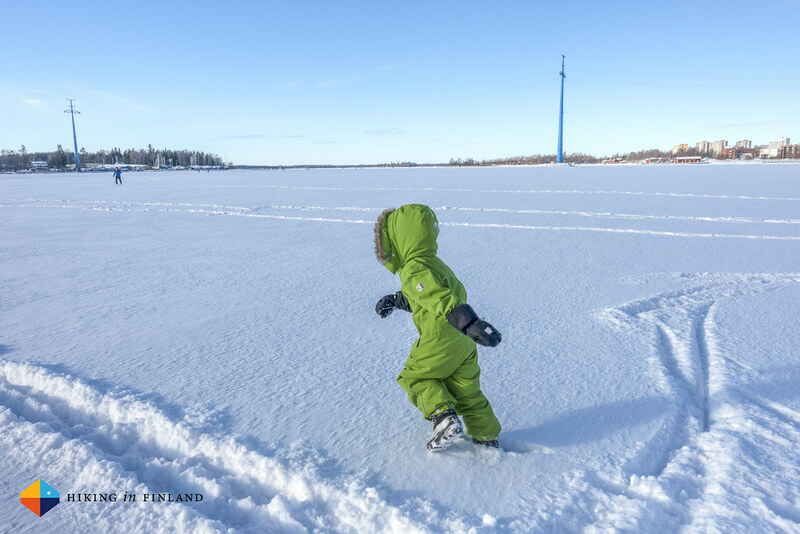 This can get tedious to say the least, so when we saw that he was happy to put on the overall (in less than a minute, including hat, Buff and the Reimatec Suunta mitts) we were very happy parents indeed! So, now the kid has dressed himself up to go out into the cold, but how does the overall stand up to the use & abuse a 5 year old can throw at it? Very well, we’d say. We were ice skating, building igloos, climbing on rocks, had running competitions and played hide & seek, in temperatures from 0°C to -20°C. 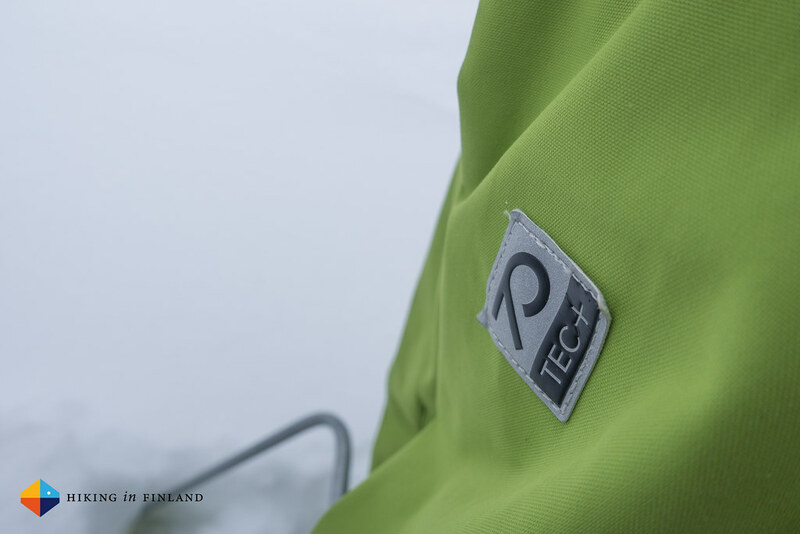 The waterproof & breathable outer shell material has taken all these activities in stride and hasn’t failed us yet, keeping wind, snow and wetness at bay. It’s pretty durable, too - climbing on rocks with the knees and then sliding them back down hasn’t done any damage to the material. It’s easy to clean, too - just throw it into the washing machine (add a suitable detergent) at 40°C and an hour later you can hang it up to dry. Because of the insulation it needs around 12 to 16 hours to thoroughly dry, so keep that in mind. 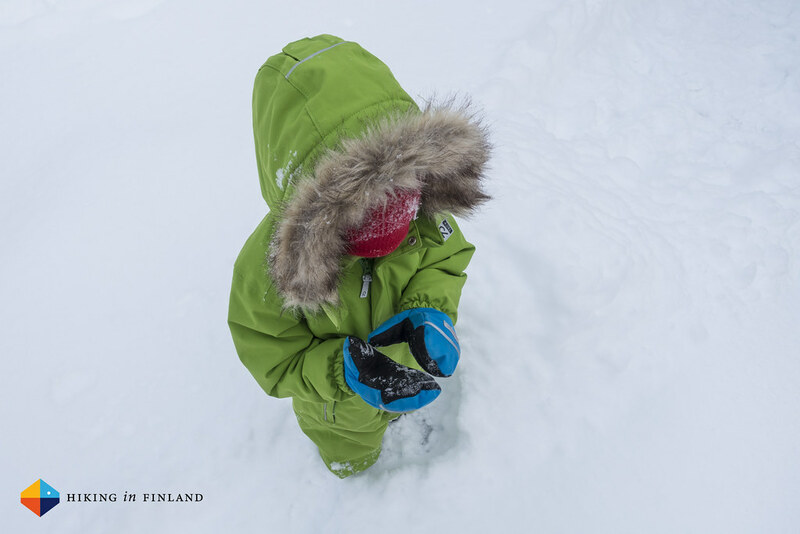 Warmth-wise the overall is toasty and is sufficient on its own up to temperatures of -5°C with our son. 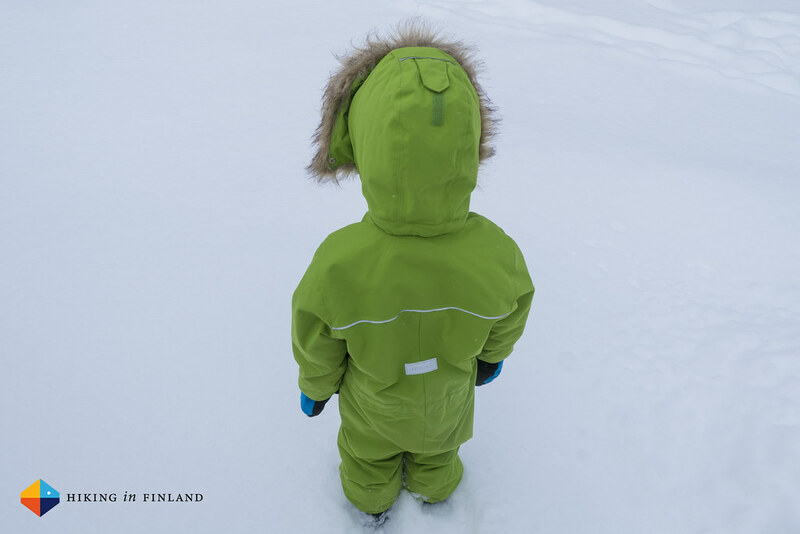 When it gets colder than -5°C we add a fleece jacket and fleece pants underneath the overall, and that’s no problem as there’s room to spare without restricting movement. 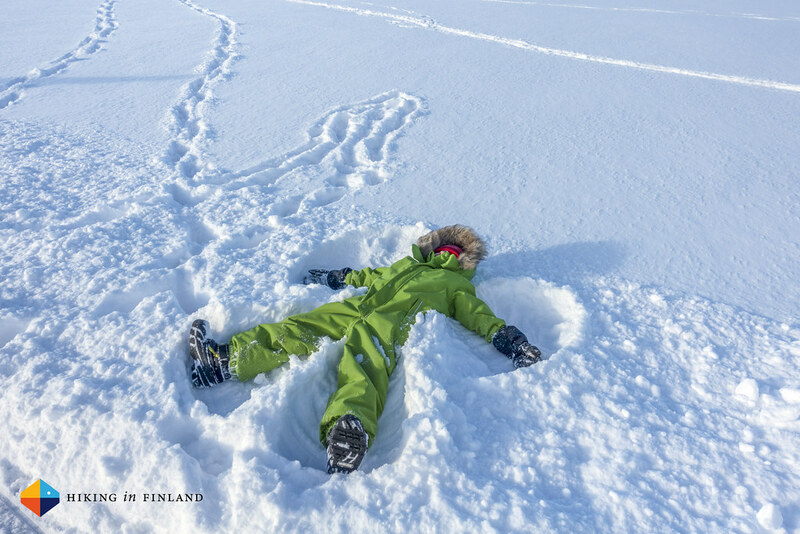 Speaking of movement, snow angles, climbing on rocks and at the play ground, skiing and ice skating all were easy to do as the overall does not restrict the freedom of movement. Also otherwise we really like the Stavanger Overall: The inside suspenders are great when dressing up and in breaks as our son can undress the overall but with the suspenders still over his shoulders he’s able to walk around without that the top is hanging on the floor. 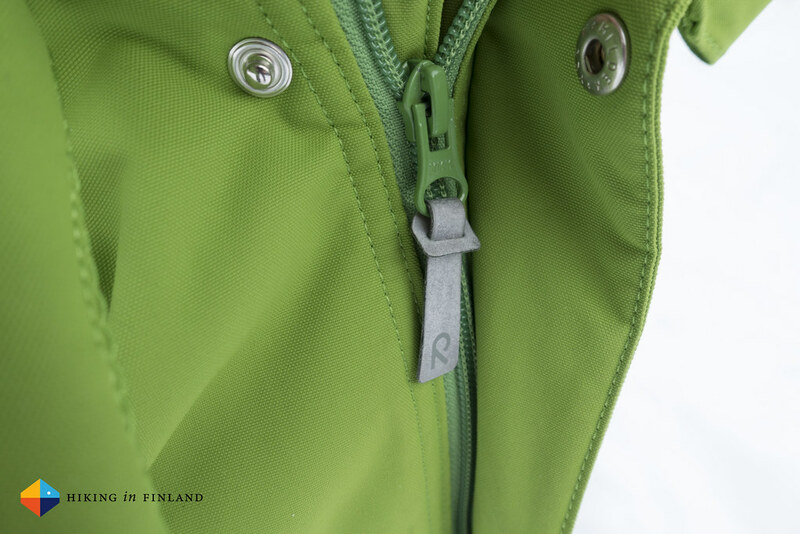 The width of the overall can be adjusted via two inside elastics, making it as wide or narrow as you need it. There’s only two pockets on it which is just the right amount, and the insulated hood with a fur collar can be removed (the fake fur, too). The leg cuffs can also be adjusted in width, while the elastic cuffs keep wind and snow from getting into the sleeves. The reflective details are easy to overlook, but there’s plenty of them, from top to bottom, which makes the wearer very visible on these dark winter nights and morning. 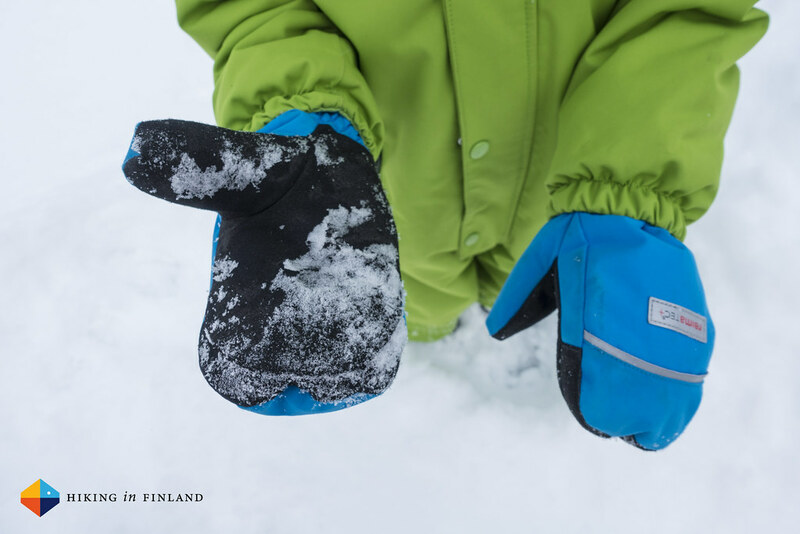 Some words on the Reimatec Suunta mitts, too. We got these at the same time than the overall but they haven’t been used as much - simply because it was way too warm for them most of this “winter”. Now that the thermometer has shown beautiful double digit minus degrees it was time to put them on, and for playing in the snow and walking to the kindergarden or to town these were great to keep the little hands warm. These mitts have a very warm fleece lining and a snug cuff which goes high, and they’re best from temperatures over -10°C in our experience. Anything above that and our son would run very hot & sweaty in them. Because they’re so long it’s best to put the gloves on before the overall, this is simpler. There’s some help needed to get the hands in the gloves through the elastic cuffs of the overall, but compared with dressing a kid up completely it’s a minor thing! Disclaimer: The overall and gloves have been provided by Reima for review. This did not influence the article as I maintain full editorial control of the content published on this site. There are affiliate links in this article. Read the Transparency Disclaimer for more information on affiliate links & blogger transparency.